This was my little quote-of-the-day from the Headspace app a few days ago. Usually these quotes are a bit new age-y for my taste (“we can’t use the ego to get rid of the ego,” “There is no you and me, only us” etc.) but this one stuck with me. I’ve been thinking about progression a lot recently. I wrote a blog post called “this is what progression looks like” last November, and I stand by that. I know what progression looks like. 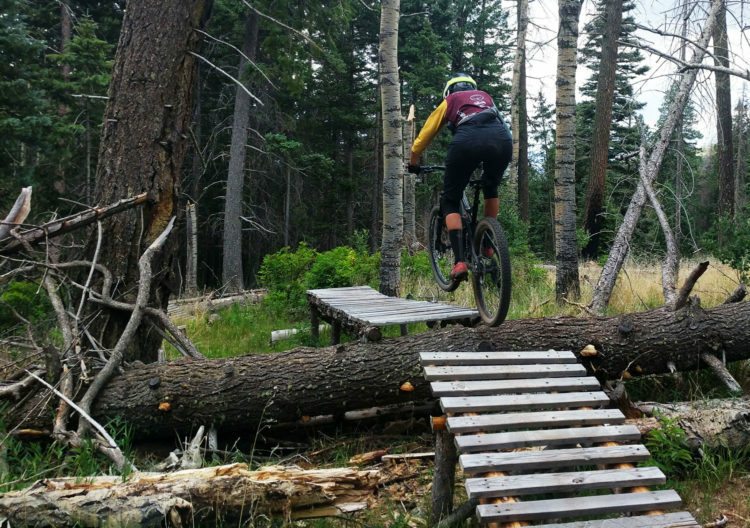 It looks like confidence and clarity, and pushing your limits in a way that is fun rather than scary. It took me awhile to figure this out, but that definition makes sense to me now. The thing that doesn’t make sense to me is why progression is present sometimes and absent others. Where does that confidence and clarity go? Why is it sometimes fun to push limits and other times scary to do things that you were doing just the day before? Honestly, I don’t get it. But the answer, I think, is lurking somewhere in that idea of years and days. But I do kinda know why. I answered it there. I’ve been putting in the work for three damn years. That’s a lot of days. And do I feel like these breakthroughs should have come earlier? Yes, of course, who doesn’t? But the reality is that, while I might never be able to predict with absolute certainty when progression will come, it does follow a pretty predictable pattern. Put in the work. Create space. Progress. The only variable is ME. Do I have the patience to keep going when there are no discernible signs of progress? Do I have faith in this process? Not everyone agrees with me on this, but I don’t believe you can rush progression. You can put in more work, sure. That might speed things up. It also might not. The more reps the better, and the closer you will be to those breakthrough days, but there’s no magic number. It might take you 1000 tries. It might take you 10,000. It might take you six months. It might take you ten years. There’s no right or wrong answer, there’s only hard work and patience and time and maybe some more work on top of that. But here’s the thing. I’m not brave. I don’t hit jumps until I’m 110% sure I can land them safely, and even then, I’m still usually kind of scared. It’s not about bravery and it never really was. When I hit a feature like the one in this photo, I am not “being brave.” I am standing on years and years of practice and struggle and practice and struggle, and, until now, very little in the way of break-throughs. 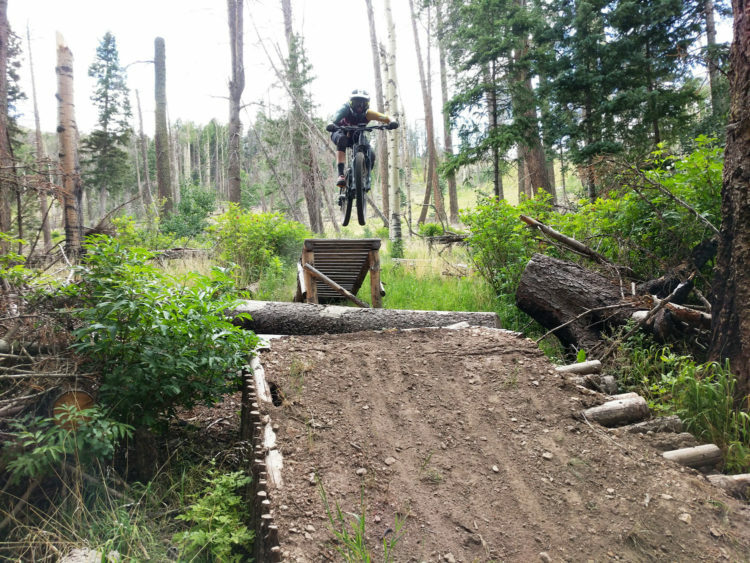 I am bolstered by days and days of practice on a dumb little wooden kicker in the driveway, hours and hours of casing jumps on the medium line at Valmont Bike Park (I seriously hate that line) and lap after lap on Boulder Dash at Angel Fire. I am confident because I have given this a helluva lot of time and patience, largely because I had no choice. I am not brave. So my answer to that “how do I gain confidence on jumps question?” is an answer that no one really wants to hear. Just keep practicing. Just keep being patient. Don’t force it. Put in the work and let it come. Have faith. Remember that good things take years, but that years are made up of days. So, what can you do TODAY? Excellent article written from the heart. Love your outlook on life and the way it comes through your writing style. If this same topic was written from the head it might be about the neurological aspect of learning movement, or the correction of our minds. Your cover the latter in a recent article for CTS, which is what brought me here.